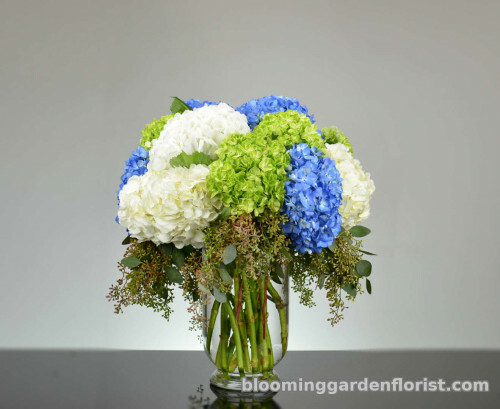 A floral design of green, white and blue hydrangeas in an elegant vase. Simply beautiful and lovely. As pictured with 15 hydrangeas. Larger design with 20 hydrangeas. Larger design, larger container, with 25 hydrangeas.